This may look like a list but it is, in fact, a guideline (which is a completely different thing) for the Diverse Books Reading Challenge, and therefore subject to change whenever I feel like it. 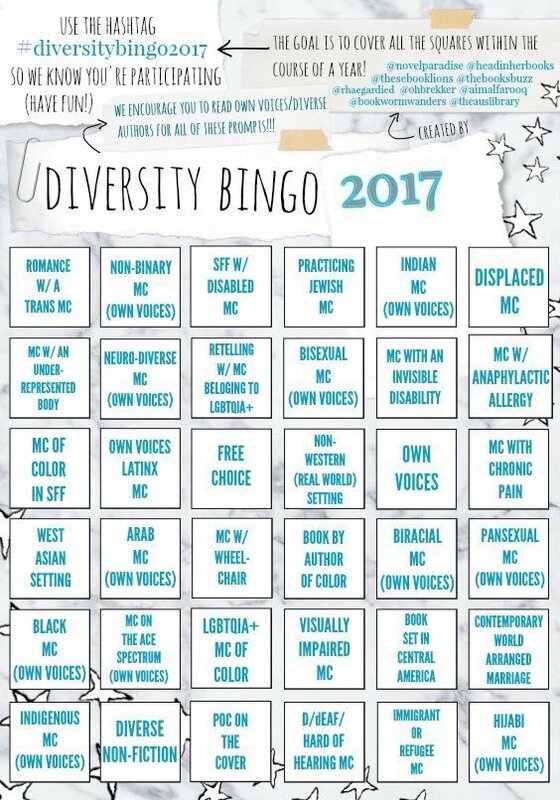 I haven’t read the vast majority of these books, so I don’t know for certain whether or not they are good books or a good representation of their designated categories, but I kinda figured the whole idea behind the bingo sheet was to find out for yourself. If you scroll down the list, you may notice a few categories don’t have books in them, that’s because I haven’t figured out what book to read for that particular category, if you want to leave a recommendation of your own, feel free to do so in the contact form below.